Thanksgiving Food Help! 5 EASY Steps! 1. IT IS ALL ABOUT CHOICES! Decide what you are willing to do WITHOUT GUILT & do that! 2. If you decide to eat and enjoy it all with abandon, DO IT, OWN IT AND MOVE ON! Don’t get down on yourself the next day. Don’t do the negative self-talk the next day or even that day. Don’t do the “while I already blew it so I might as well keep blowing it”. Don’t do the “I already blew it so I am giving up until January”. 3. If you want to enjoy some but not all, plan ahead! Bring or make food and/or dessert that you want to eat. Decide what you are willing and not willing to eat & do – it is all about choices!!! After the fact note: FOR ME, AFTER I LOST WEIGHT, THE HARDEST LESSON I LEARNED WAS THAT IT WAS OK TO HAVE BALANCE IN LIFE & ENJOY. I did not do that at first & took me a few years to get it. Enjoy the day & move on. Craving & wanting & denying is worse than just enjoying the day & getting back to it. As you all know I have my HUGE cookies every weekend but my weeks are pretty spot on BUT I don’t freak out if they are not. 🙂 I just get back to it! HAVE A GREAT HOLIDAY!!!! I WILL BE BACK MONDAY FOR GRATITUDE MONDAY!!! I feel that you remind us to be thankful in small ways once a week. Since I’ve started following your blog I look forward to Gratitude Mondays because it stops me in everyday (week) life to notice what I’m thankful/grateful for. So today I will be THANKFUL for the special person you are. Smooch Tess! I originally started Gratitude Monday to do exactly what you wrote there – to make myself think about the little things that matter! 🙂 Thankful for you! Happy holidays!!! now these are REAL tips! love number 5 too! Such great advise! 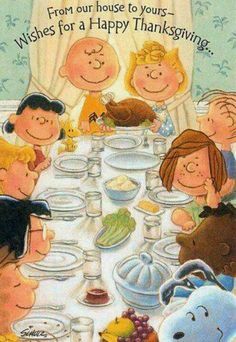 I hope you and your family have a wonderful Thanksgiving! I’m grateful for getting to know you through your blog over the years! Thx Lisa!!! You too – enjoy & back to you as well – such a great community!!!! Thanksgiving = Thanks for living! Back at ya Dr. J!!!!!!!!! Have a great Thanksgiving, Jody! Wonderful, Jody. Agree with the idea of eliminating the negative talk and just enjoying time with good food and the good people in our lives. Have a great Thanksgiving! Ivonne – YES!!!!!!!!!!! Happy day to you! I love this post! Thank you Jody I had every intention on doing just that no negative talk – OWN IT! Yahoo Sheri!!!!!!!!!! Enjoy without guilt!!!!!!!!!!!!!!!!!!!!!!!!!!! Have a beautiful day friend! Great tips. I am choosing foods I only get that one day a year and then remembering that it is a holiDAY and not a holiWEEK and moving on. Guilt free is the key! Make choices and move on. Ta dum! Have a wonderful, love-filled holiday Golden One! You have a beautiful day too Special K!!!!!!!!!!!!!!!!!!!!!!!!!! Great tips but …. unfortunately here we don’t celebrate the Thanksgiving. 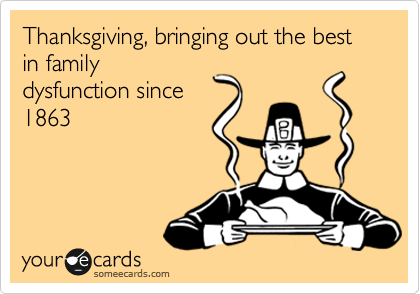 I hope you have had a great Thanksgiving weekend, Jody! !